This magnificent 566 page publication arranged by renowned contemporary Carlier Makigawa to celebrate the life and work of her husband, Akio Makigawa, is possibly the most resplendent volume ever dedicated to the creative triumphs of a sculptor living in Australia. From the highly specialised binding to the combination of gloss and uncoated pages, carrying the unique design and fine photography throughout the 1000 numbered copies, this book is a fitting tribute to a sculptor whose distinctive abstract forms became familiar to Australian art-lovers in the 1980's and 1990's and continue to invest many public spaces with their special qualities. Makigawa's abstract forms are shaped and composed with understated oriental finesse while the artist's hand is ever present in the surfaces of the stone. In his foreword, Edmund Capon describes his first meeting with the artist as'...an experience of gentle revelation.' and the artist's works as '...sublime in their tranquil presence and redolent with a quiet and traditional sense of Japanese formality, but, nonetheless, very much of our time and place.' 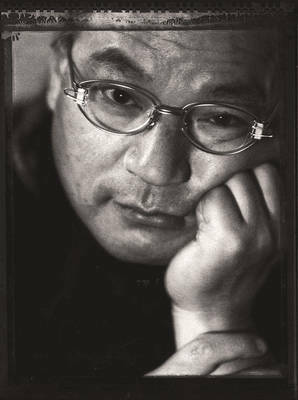 Editor Jackie Cooper explains that Akio Makigawa's works and ideas are the subject of his book- ideas that he discussed at length with Garry Emery, John Gollings and herself between 1993 and the artist's death on Christmas Eve 1999. Carlier Makigawa is to be congratulated on her determination to see his remarkable book become a reality.